Now through April 30, 2019 get 3.49% APR Financing up to 63 months from Subaru Motors Finance on all new 2019 Forester Models. Other rates and payment terms available. Lease a new 2019 Forester for $265/Month for 36 months (Standard 2.5i 6MT model, code JFA-01). $2,065 due at lease signing. $0 security deposit. LEASE OFFER: MSRP $25,270 (incl. $915 freight charge). Net cap cost of $23,470 (incl. $595 acq. fee). Total monthly payments $9,540. Lease end purchase option is $15,920. Must take delivery from retailer stock by April 30, 2019. Other leases available on other models. Cannot be combined with any other incentives. Special lease rates extended to well-qualified buyers. Subject to credit approval, vehicle insurance approval & vehicle availability. Not all buyers may qualify. Payments may be higher in some states. Net cap cost & monthly payment excludes tax, license, title, registration, retailer fees, options, insurance & the like. Retailer participation may affect final cost. At lease end, lessee responsible for vehicle maintenance/repairs not covered by warranty, excessive wear/tear, 15 cents/mile over 12,000 miles/year and $300 disposition fee. Lessee pays personal property and ad valorem taxes (where applies) & insurance. Offer not available in Hawaii. See participating retailer for details. A charge of 15 cents per mile for mileage over 12000 miles per year will apply. Now through April 30, 2019 get 3.49% APR Financing up to 63 months from Subaru Motors Finance on all new 2019 Ascent Models. Other rates and payment terms available. Lease a new 2019 Ascent for $339/Month for 36 months (Standard Ascent model, code KCA-01). $2,999 due at lease signing. $0 security deposit. Down payment will vary with APR and credit. For example, 2.9% APR with $2,500 down payment provides for 63 monthly payments of $17.13 per $1000 financed for qualified buyers. 2.9% for a term of 24 months corresponds to a monthly cost of $42.94 per $1000 financed. 2.9% for a term of 36 months corresponds to a monthly cost of $29.04 per $1000 financed. 2.9% for a term of 48 months corresponds to a monthly cost of $22.09 per $1000 financed. 2.9% for a term of 60 months corresponds to a monthly cost of $17.92 per $1000 financed. The rates described are for estimation purposes only; you may not be able to finance at this rate. LEASE OFFER: MSRP 32,970 (incl. $860 freight charge). Net cap cost of $29,960 (incl. $595 acq. fee). Total monthly payments $12,204. Lease end purchase option is $20,771. Must take delivery from retailer stock by April 30, 2019. Other leases available on other models. Cannot be combined with any other incentives. Special lease rates extended to well-qualified buyers. Subject to credit approval, vehicle insurance approval & vehicle availability. Not all buyers may qualify. Payments may be higher in some states. Net cap cost & monthly payment excludes tax, license, title, registration, retailer fees, options, insurance & the like. Retailer participation may affect final cost. At lease end, lessee responsible for vehicle maintenance/repairs not covered by warranty, excessive wear/tear, 15 cents/mile over 12,000 miles/year and $300 disposition fee. Lessee pays personal property and ad valorem taxes (where applies) & insurance. Offer not available in Hawaii. See participating retailer for details. A charge of 15 cents per mile for mileage over 12000 miles per year will apply. Now through April 30, 2019 get 0.9% APR Financing up to 48 months from Subaru Motors Finance on all new 2019 Impreza Models. Other rates and payment terms available. 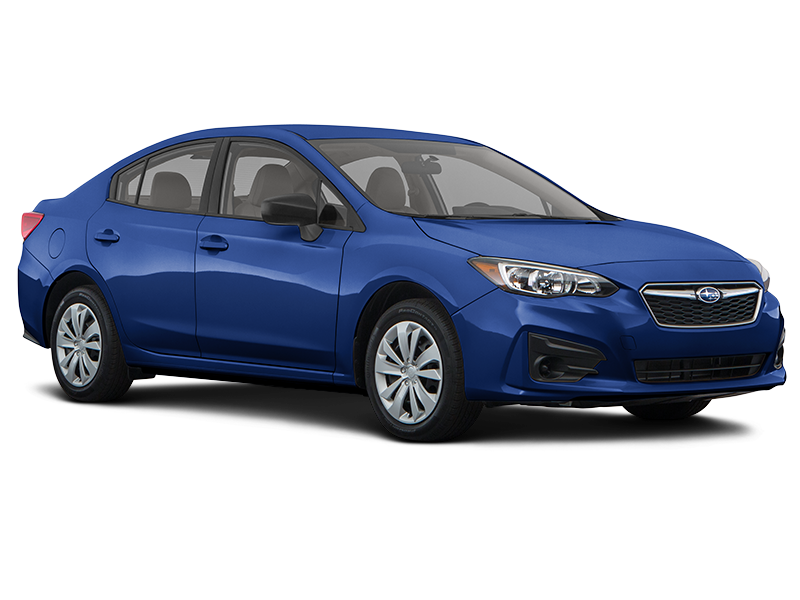 Lease a new 2019 Impreza for $195/Month on a 36-Month Lease (Standard 2.0i 5D Sport 5MT model, code KJA-01). $2,009 due at lease signing. $0 security deposit. LEASE OFFER: MSRP $19,480 (incl. $860 freight charge). Net cap cost of $17,691 (incl. $595 acq. fee). Total monthly payments $7,020. Lease end purchase option is $11,298. Must take delivery from retailer stock by April 30, 2019. Other leases available on other models. Cannot be combined with any other incentives. Special lease rates extended to well-qualified buyers. Subject to credit approval, vehicle insurance approval & vehicle availability. Not all buyers may qualify. Payments may be higher in some states. Net cap cost & monthly payment excludes tax, license, title, registration, retailer fees, options, insurance & the like. Retailer participation may affect final cost. At lease end, lessee responsible for vehicle maintenance/repairs not covered by warranty, excessive wear/tear, 15 cents/mile over 12,000 miles/year and $300 disposition fee. Lessee pays personal property and ad valorem taxes (where applies) & insurance. Offer not available in Hawaii. See participating retailer for details. A charge of 15 cents per mile for mileage over 12000 miles per year will apply. Now through April 30, 2019 get 1.9% APR Financing up to 72 months from Subaru Motors Finance on all new 2019 WRX Models. Other rates and payment terms available. Lease a new 2019 WRX for $345/Month for 36 months (Standard WRX 6MT model, code JUN-01). $1,999 due at lease signing. $0 security deposit. LEASE OFFER: MSRP $28,080 (incl. $860 freight charge). Net cap cost of $26,361 (incl. $595 acq. fee). Total monthly payments $12,420. Lease end purchase option is $16,006. Must take delivery from retailer stock by April 30, 2019. Other leases available on other models. Cannot be combined with any other incentives. Special lease rates extended to well-qualified buyers. Subject to credit approval, vehicle insurance approval & vehicle availability. Not all buyers may qualify. Payments may be higher in some states. Net cap cost & monthly payment excludes tax, license, title, registration, retailer fees, options, insurance & the like. Retailer participation may affect final cost. At lease end, lessee responsible for vehicle maintenance/repairs not covered by warranty, excessive wear/tear, 15 cents/mile over 12,000 miles/year and $300 disposition fee. Lessee pays personal property and ad valorem taxes (where applies) & insurance. Offer not available in Hawaii. See participating retailer for details. A charge of 15 cents per mile for mileage over 12000 miles per year will apply. Now through April 30, 2019 get 3.49% APR Financing up to 63 months from Subaru Motors Finance on all new 2019 Crosstrek Models. Other rates and payment terms available. 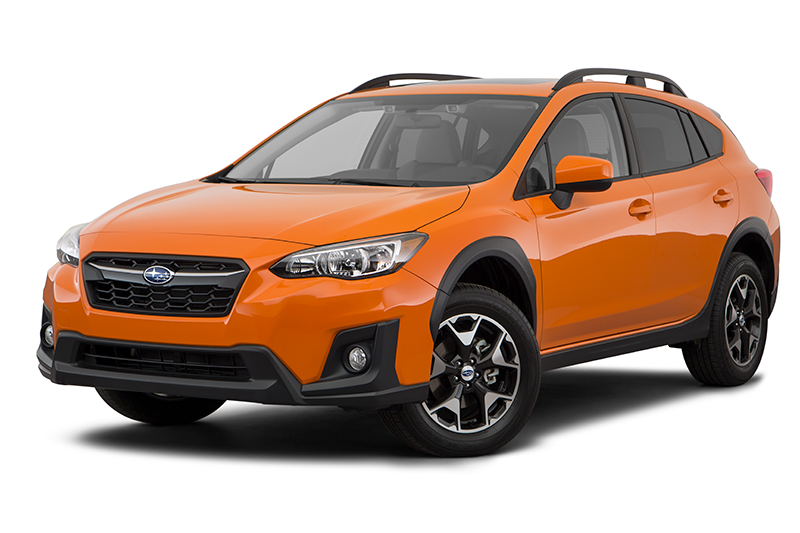 Lease a new 2019 Crosstrek for $245/Month for 36 months (Standard 2.0i 6MT model, code KRA-01). $1,999 due at lease signing. $0 security deposit. LEASE OFFER: MSRP $22,870 (incl. $915 freight charge). Net cap cost of $21,336 (incl. $595 acq. fee). Total monthly payments $8,820. Lease end purchase option is $14,179. Must take delivery from retailer stock by April 30, 2019. Other leases available on other models. Cannot be combined with any other incentives. Special lease rates extended to well-qualified buyers. Subject to credit approval, vehicle insurance approval & vehicle availability. Not all buyers may qualify. Payments may be higher in some states. Net cap cost & monthly payment excludes tax, license, title, registration, retailer fees, options, insurance & the like. Retailer participation may affect final cost. At lease end, lessee responsible for vehicle maintenance/repairs not covered by warranty, excessive wear/tear, 15 cents/mile over 12,000 miles/year and $300 disposition fee. Lessee pays personal property and ad valorem taxes (where applies) & insurance. Offer not available in Hawaii. See participating retailer for details. A charge of 15 cents per mile for mileage over 12000 miles per year will apply. Now through April 30, 2019 get 0% APR Financing up to 36 months from Subaru Motors Finance on all new 2019 Legacy Models. Other rates and payment terms available. Lease a new 2019 Legacy for $225/Month for 36 months (Standard 2.5i model, code JAB-01). $2,635 due at lease signing. $0 security deposit. Down payment will vary with APR and credit. For example, 0.0% APR with $2,500 down payment provides for 63 monthly payments of $15.87 per $1000 financed for qualified buyers. 0.0% for a term of 24 months corresponds to a monthly cost of $41.67 per $1000 financed. 0.0% for at term of 48 months corresponds to a monthly cost of $20.83 per $1000 financed. The rates described are for estimation purposes only; you may not be able to finance at this rate. LEASE OFFER: MSRP $23,430 (incl. $860 freight charge). Net cap cost of $20,465 (incl. $595 acq. fee). Total monthly payments $8,100. Lease end purchase option is $12,887. Must take delivery from retailer stock by April 30, 2019. Other leases available on other models. Cannot be combined with any other incentives. Special lease rates extended to well-qualified buyers. Subject to credit approval, vehicle insurance approval & vehicle availability. Not all buyers may qualify. Payments may be higher in some states. Net cap cost & monthly payment excludes tax, license, title, registration, retailer fees, options, insurance & the like. Retailer participation may affect final cost. At lease end, lessee responsible for vehicle maintenance/repairs not covered by warranty, excessive wear/tear, 15 cents/mile over 12,000 miles/year and $300 disposition fee. Lessee pays personal property and ad valorem taxes (where applies) & insurance. Offer not available in Hawaii. See participating retailer for details. A charge of 15 cents per mile for mileage over 12000 miles per year will apply. Now through April 30, 2019 get 0% APR Financing up to 36 months from Subaru Motors Finance on all new 2019 Outback Models. Other rates and payment terms available. Lease a new 2019 Outback for $239/Month on a 36-Month Lease (Standard 2.5i model, code KDB-01). $2,239 due at lease signing. $0 security deposit. Cannot be combined with any other incentive. Financing example for approved Tier 1 and 2 applicants with no down payment required. Length of contract is limited. Subject to credit approval, vehicle insurance approval and vehicle availability. 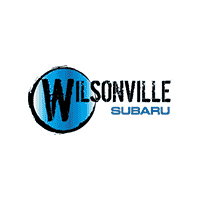 See Wilsonville Subaru for additional details. Must take delivery from retailer stock by expiration date. The advertised price does not include tax, vehicle registration fees, insurance, finance charges, $115 doc proc fee and $35 elec reg fee, and any other required fees. All vehicles sold on first-come, first-served basis and online inventory may not reflect recent sales. Contact us to confirm availability. Truth in Lending Act Disclosure: Down payment will vary with APR and credit. For example, 0.0% APR with $2,500 down payment provides for 63 monthly payments of $15.87 per $1000 financed for qualified buyers. 0.0% for a term of 60 months corresponds to a monthly cost of $16.67 per $1000 financed. LEASE OFFER: MSRP $27,320 (incl. $915 freight charge). Net cap cost of $24,190 (incl. $595 acq. fee). Total monthly payments $8,604. Lease end purchase option is $16,392. Must take delivery from retailer stock by April 30, 2019. Other leases available on other models. Cannot be combined with any other incentives. Special lease rates extended to well-qualified buyers. Subject to credit approval, vehicle insurance approval & vehicle availability. Not all buyers may qualify. Payments may be higher in some states. Net cap cost & monthly payment excludes tax, license, title, registration, retailer fees, options, insurance & the like. Retailer participation may affect final cost. At lease end, lessee responsible for vehicle maintenance/repairs not covered by warranty, excessive wear/tear, 15 cents/mile over 12,000 miles/year and $300 disposition fee. Lessee pays personal property and ad valorem taxes (where applies) & insurance. Offer not available in Hawaii. See participating retailer for details. A charge of 15 cents per mile for mileage over 12000 miles per year will apply.